An astute reader submitted an inquiry into this address, as it is clearly blighting the block in this rapidly developing part of Grays Ferry. Our research shows an interesting story with an uncertain ending. The property was sold in May 2016 to a company called S Knuckles LLC (really!) for $15,000. Seems this LLC is an investor, having six properties in its portfolio, according to the OPA. Then, in September, the property was sold for $65,000 to Amelia Investors LLC. Not a bad return, $50,000 in four months. I guess that’s why so many people are trying to get into the flipping game. Amelia is very active, with more than forty properties in their portfolio currently. Although the taxes are paid up, there are some open violations on the property – Unsafe Structure, Vacant and Open, and Exterior Area Weeds. Our guess is that this property will be renovated and sold soon. 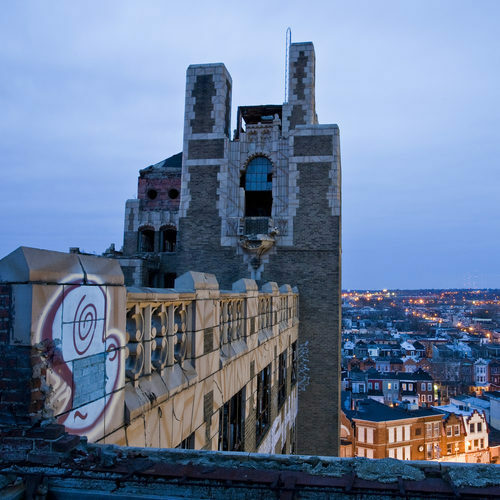 This entry was posted in Community, Shell Properties, Tools to Fight Blight, Urban Renewal by abandonedphila. Bookmark the permalink. We are committed to removing blight and returning vacant real estate to welcoming homes and productive businesses in neighborhoods throughout Philadelphia. Join us!